To train for an A1 Bike test you must be at least 17 years old, and you must first pass a motorycle theory exam, which can be booked here. Passing the practical motorcycle test will allow you to remove your ‘L’ plates and to carry a passenger. Once passed, you can also forget about having to retake your CBT every two years. The A1 - Light Licence training and test is completed on a 125cc machine. 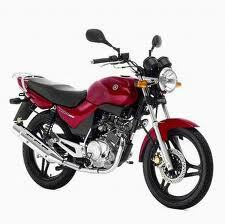 Once you have passed the test you will be restricted to 125cc machines with a maximum 14.7 bhp.